A rising star in Congress and Kejriwal's target, who is Annu Tandon? Arvind Kejriwal in his latest set of allegations against Swiss banks, corporate bodies and black money also mentioned the relatively unknown name of Congress MP Annu Tandon, who barring her mention today last hit headlines when she convincingly wrested a seat for the Congress during the 2009 UP elections. In the 2004 Lok Sabha polls, the Congress finished fourth in the Unnao constituency, which was till then considered a BSP stronghold. Tandon was a fresh face in politics and hadn't even contested local municipality polls. But she was already known for her social work as the founder and chairperson of Hriday Narain Dhawan Charitable Trust which worked with the poorest in the constituency. Tandon was from a non-political but influential family in Unnao. Dhawan road, where her house Narain Bhavan is located, is named her father Hriday Narain Dhawan and at the time of contesting elections, she had assets worth Rs 42.13 crores, according to the affidavit filed with the election commission. 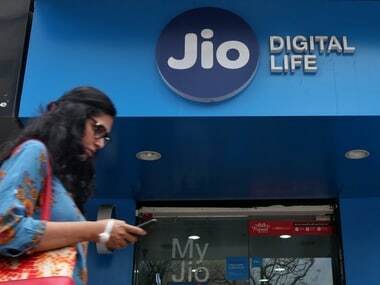 A Hindu report written around the time of the elections noted her husband's important connection with Reliance Industries and how the Congress insisted on fielding her from the seat, something that even left allies Samajwadi Party in a tangle. And finally it wasn't her finances, but her social work that was stated to be the reason that she managed to not only hold her own against other candidates and win with a thumping margin. Tandon defeated BSP’s Arun Shankar Shukla and SP’s Deepak Kumar by a record margin, registering her presence within the Congress party. It was the third highest margin for victory in the UP elections, beaten only by Sonia and Rahul Gandhi. Often seen in a white kurti and trousers while working, Tandon is credited with infusing a new lease of life in the Unnao unit of Congress. With her social work she raised her own cadre, a mix of young workers and old Congress loyalists who believed in the party’s ideology but had turned pessimists due to party’s poor performance during the past decade. With follow ups of every complaint received from people in her constituency, she attempted to give a more professional approach to operating in UP politics, that was so far known for money and muscle power. What is less highlighted is her rumoured proximity to Reliance Industries. Her profile on the Observer Research Foundation, a think tank of which she is a trustee, lists her as a former Managing Director of MoTech Software Pvt. Ltd, a company funded by the promoters of the Reliance Industries. However, what Kejriwal chose to target was her husband's link to Reliance Industries. Kejriwal, like this Tehelka article, pointed out that Tandon's now deceased husband, Sandip, was an Enforcement Directorate official who joined the company in 1994 after reportedly once raiding the company over the floating of benami companies abroad. Sandip Tandon had also reportedly once raided the residence of Tina Ambani. It was based on this link that Kejriwal chose to highlight the bank accounts allegedly held in a Swiss bank by Tandon and her husband and accuse them of holding either stashing funds worth Rs 125 crore each, either for themselves or on behalf of Reliance Industries. 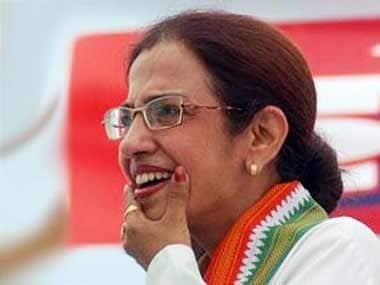 While Tandon was quick to dismiss the allegations levelled as baseless and defamatory, the Congress will be eager to rid the MP of charges at the earliest not just because of the allegations she faces. For the Congress, if they're proven, the charge of shielding her would stretch all the way to the current President Pranab Mukherjee, because of his statement made as Finance Minister in Parliament, in which he said no MPs had accounts in banks abroad. 1A rising star in Congress and Kejriwal's target, who is Annu Tandon?